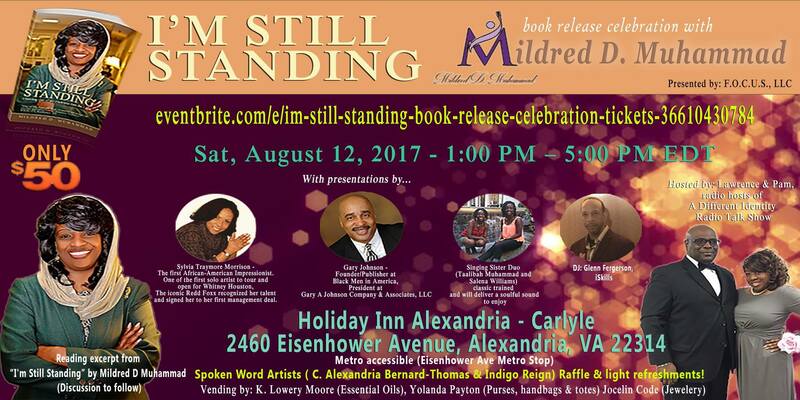 In her second book, I”m Still Standing: Crawling Out of the Darkness Into the Light, Mildred Muhammad, the ex-wife of the D.C. sniper, John A. Muhammad, shares her expertise on what it’s like to be a victim and a survivor of domestic violence “without physical scars.” Her authenticity is as remarkable as her unforgettable story of abuse. Mildred explains the perils of PTSD (Post Traumatic Stress Disorder) that soldiers suffer when returning from a war zone as well as victims who are diagnosed with the disorder. Resilient, courageous, strong, and powerful are just a few words, others use, to describe Mildred D. Muhammad. She was a victim who became a survivor and is now a warrior on the issues of abuse. She speaks globally to encourage and empower others to reflect self-assurance, self-improvement and self-love, which is the greatest gift of all! Her style and wit in sharing her story holds the audience attention regardless of the amount of time she’s given. They leave with a sense of hope and tools to use in their own lives, that will bring them the peace of mind that we all strive to have daily. Transformation is the key to moving forward with your life. Mildred knows that first hand. She had to counsel herself and her children to survive the victim-blaming. They learned to thrive in the midst of adversity, understand their emotions and hold their heads high because they had nothing to be ashamed of or to feel guilty for. The horrific crime that took place in the Washington, D.C. area in 2002, resulted in innocent people being killed by Mildred’s ex-husband, John Allen Muhammad, the convicted and now executed DC Sniper. This was a crime of domestic violence and child custody. Prior to this crime, John took the children out of the country after a weekend visitation and threatened to kill her. She had been running for her life for three years. She was hiding by changing her name, clothing and locations trying to escape being killed by her ex-husband. As the shootings were occurring in 2002, law enforcement told her what they did not tell the public which was...“SHE” was the intended TARGET! She and her children were taken into protective custody until he was caught. Now, 15 years later, the truth is finally being told. 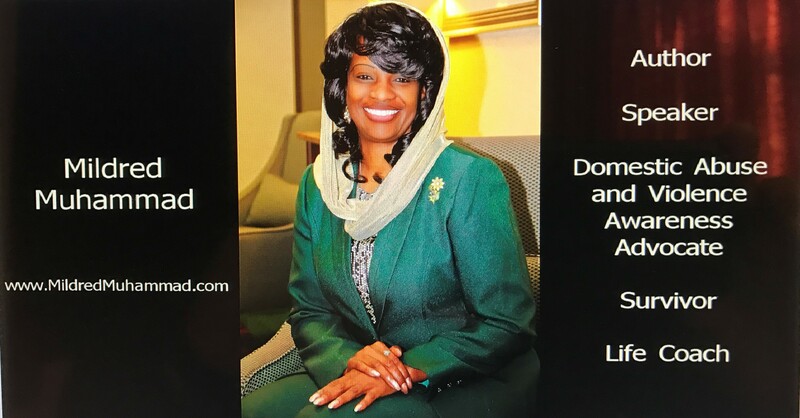 Mildred D. Muhammad is a Globally Award-Winning, Recognized Keynote Speaker, International Expert Speaker for the US Dept of State, Certified Consultant w/Office on Victims of Crime, CNN Contributor, Domestic Abuse Survivor, Advocate, Author, Trainer & Educator traveling and speaking on a national and international platform to discuss her life of terror, abuse and heartache, all while promoting Domestic Violence Awareness and Prevention. 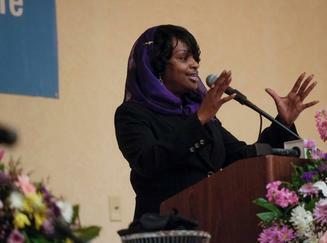 As the ex-wife of the D.C. sniper, John A. Muhammad, who went on a three-week rampage, with the end result, as stated by law enforcement, was to find Mildred and kill her too, the very personal details of her experiences involving fear, abuse and many of times, victim-blaming, has allowed Mildred’s mission to be even more influential and of greater purpose. She shares her expertise on what it’s like to be a victim and a survivor of domestic violence “without physical scars” to various conferences, seminars, workshop audiences which include victims and survivors of domestic violence, advocates, law enforcement professionals, therapists, counselors, mental and medical health providers, university and college students as well as conduct military personnel training regarding domestic violence. Her authenticity is as remarkable as her unforgettable story of abuse. She explains the perils of PTSD (post traumatic stress disorder) soldiers suffer when returning from a war zone as well as victims who are diagnosed with PTSD. Her critically acclaimed memoir, Scared Silent: When the One You Love Becomes the One You Fear, was published by Simon & Schuster in 2009. Mildred has appeared in the following TV shows: Lifetime Movie Network Series; CNN documentary; TruTV documentary Discovery Channel; Investigation Channel Series; MSNBC documentary, and the syndicated TV show, Crime Watch Daily. Mildred has been interviewed on Oprah: Where Are They Now, Anderson, Ricki Lake, Katic Couric, Issues with Jane Velez Mitchell, The Mike Huckabee Show, TruTV’s In Session, Larry King Live, The Tyra Banks Show, and Good Morning America. She has also been interviewed by various national and international radio shows, internet radio, various national and international newspapers, and Internet blogs and magazines worldwide, including the BBC, NPR, Essence, Jet, The Washington Post, and Newsweek. Mildred has authored other books and workbooks. Click here to learn more. Where Do Blacks Stand Regarding The State of Israel? 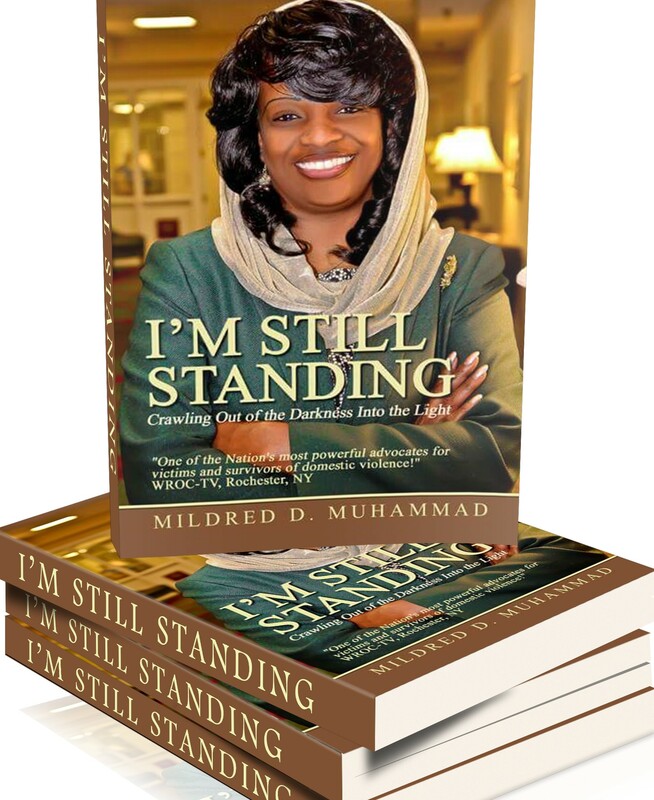 Hey Buddy!, I found this information for you: "She’s Still Standing – Mildred Muhammad Has A New Book". 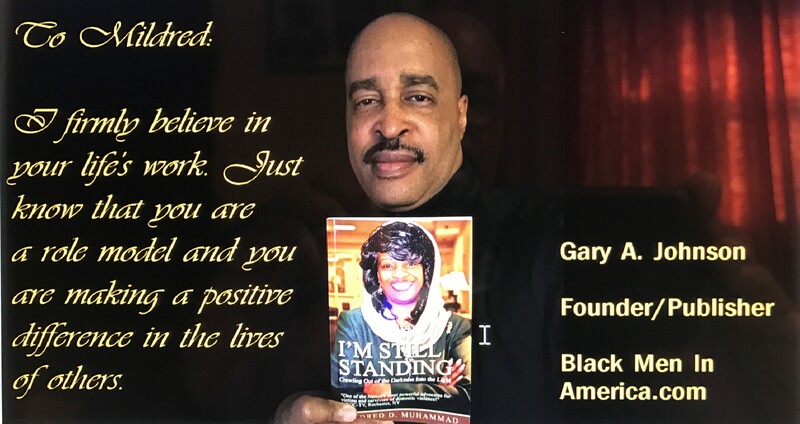 Here is the website link: https://blackmeninamerica.com/shes-still-standing-mildred-muhammad-has-a-new-book/. Thank you.